What if I told you there is a way you could learn how to communicate with Cavemen? What if you could teach them new skills and watch them do everything you say? What if there was a game that did just that!? Solving puzzles in games by talking to NPC’s? Sure that’s easy, but what if you don’t know what the heck they are talking about? This game will cause some weird and hilarious situations where the player needs to figure out a strange language and use it to teach Cavemen new things in return. It’s a game about helping Cavemen survive the coming Ice Age but to help them you'll need to learn their language first! This is done by observing the Cavemen, repeating what they say and by experimenting through trial and error. no language barrier exists for anyone in the world. There’s not a single spoken or written word in the game itself so the game can be played by anyone! The core mechanic isn't ABOUT language, the core mechanic IS language. Solve challenging puzzles by building a vocabulary. 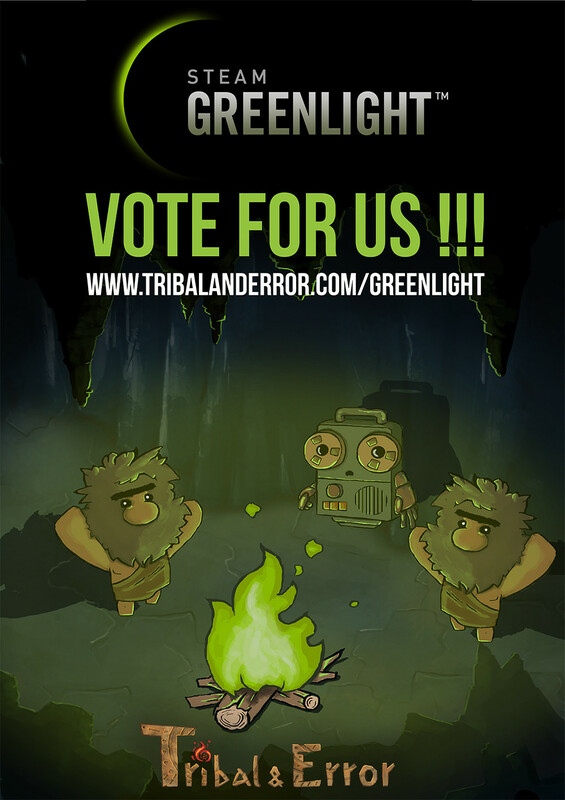 Enjoy the beautifully painted scenery, cave ambience and funny Caveman animations! Welcome to the world of Tribal & Error! 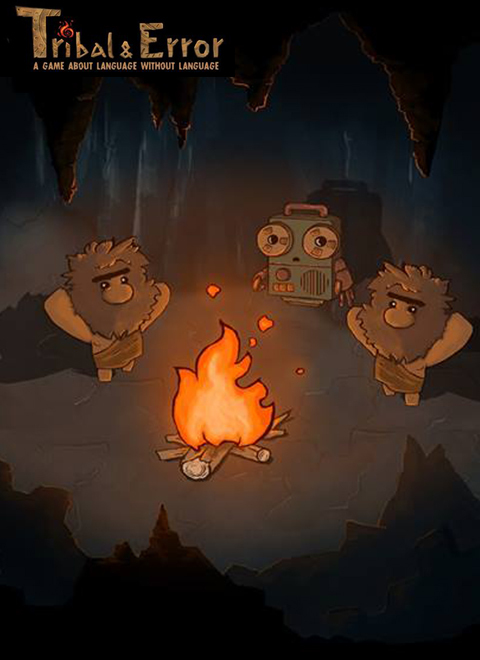 A prehistoric puzzle adventure that challenges you to think and communicate like a Caveman! Don't take our word for it, play the DEMO HERE! Tribal & Error is a game about language, without language. You’re a robot sent back to observe the ancient times, but the ice age is coming and in order to save humanity you need to learn their language first. Observe, repeat and master the cavemen tongue! As the player, you observe and copy symbols of the Cavemen. Repeat the symbols to the Cavemen in order to figure out their meaning. Translation can be added by your own interpretation and can be used to instruct the Cavemen to teach them new skills. Embark on a relaxing but challenging quest, enjoy the story and bond with those pre-hysterical Cavemen! Handcrafted environments and Caveman animations. No language barrier: This game can be played by anyone in the world! Multiple solutions to the puzzles. Our Team Lead Oskar tells a bit about our experience at the Indie Game event INDIGO. We showed our game on the network lunch at the Dutch Game Garden. We got some awesome responses and met new people. Our first public demo is online! You can now download and play it at home. Any hint on the estimated release date? saw this game on first look. looks great and cant wait to try it. Seriously, awesome, I would have wanted more from this alpha. I am in a hurry to see this game fully playable. I had fun playing this game at first look. It's pretty nice to see things like this being done by (3rd year was it?) students when you're just starting your first year of game development. And thank you guys for being really approachable and professional. I could see how passionate you guys are. I hope you guys go a long way and I look forward to seeing more of you! played the demo, funny game! @rawrDennis T.co On the site itself they mention being able to participate online.